Dan Wagner and Liz Lefevre share with us their experience at the retreat. 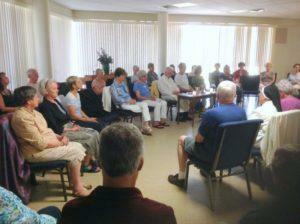 Liz shares: “This was my first intensive retreat after practicing Centering Prayer for almost twenty years. God gifted me with “a shift in the earth” before everything settled in place. “God loves me.” This statement I have heard so many times really penetrated as the words of Fr. Bill were repeated often. “He loves the parts of me that I DON’T LOVE.” To have the space to allow these words to wash over me was a priceless gift. I had never before opened the gift of Grand Silence and I surrendered even my eyes to a time without distraction. Social media, reading other than the scripture and most important, my voice, were abandoned and all the blessed space opened up. When the silence was broken for the final dinner, it was beautiful to feel the sacred friendships that had been formed through our prayer time together. 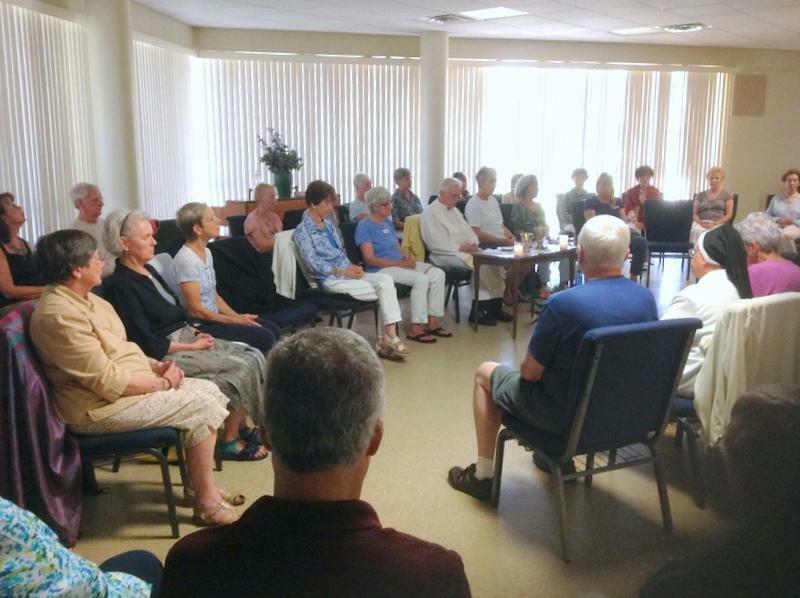 We had learned to know each other from our hearts and treasured the effort each one had made to keep our sacred space just that- a time of healing, personal growth and a taste of the Divine Indwelling. God was surely in this place as He is everywhere.